(l-r) Rep. Russell Holmes; Rep. Evandro Carvalho; City Councilor Frank Baker; Rep. Dan Hunt; Sen. Linda Dorcena Forry; Mayor Martin J. Walsh; Deirdre Houtmeyers, president of St. Mary’s; Cardinal Sean Patrick O’Malley; Lt. Gov. Karyn Polito; Yanira Ayala, resident of St. Mary’s; Nolly Corley and Anne Groves, board members of Mass. Maternity and Foundling Hospital; and Katherine A. Hesse, Esq., St. Mary’s Center Board chair. Dorchester, MA – On June 16, Lt. Gov. Karyn Polito, Mayor Martin J. Walsh, and Cardinal Sean O’Malley attended the groundbreaking of a supportive housing project in Dorchester. The center, located on the campus of St. Mary’s Center for Women and Children, will create 12 units of transitional housing. DMS design, llc of Beverly is the architect, and NEI General Contracting of Randolph is the general contractor. 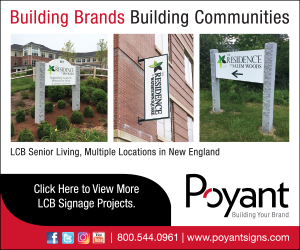 Funding was provided by the Massachusetts Maternity and Foundling Hospital, the City of Boston’s Department of Neighborhood Development, and the Commonwealth of Massachusetts’s Department of Housing and Community Development.